Johannesburg – Enlightened Christian Gathering Church (ECG) leader Prophet Bushiri has described the stampede at the Pretoria church in December in which three people died as “unfortunate”. Prophet Bushiri, along with his attorney, Terrence Baloyi, presented evidence on Monday at the Commission for the Promotion and Protection of the Rights of Cultural, Religious and Linguistic Communities (CRL Rights Commission) hearing into the tragedy. The commission is currently mediating between ECG and the South African National Civic Organisation (Sanco). Sanco has been calling for the church to be closed since the incident. Prophet Bushiri explained that when a storm hit Pretoria on December 28, congregants panicked and caused a stampede in one of the halls where overflows of people were meant to be accommodated for a service that was to begin at around 22:00. “The church has an onsite paramedics company, which handles emergency activities within the premises. 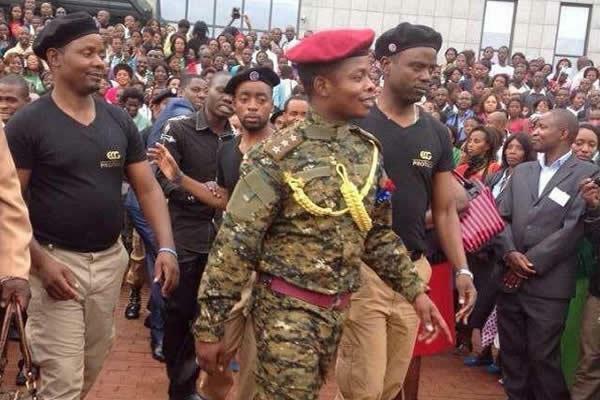 The immediate report we got from them was that there has been a stampede at one of the halls, and using their ambulances they evacuated different people who suffered different injuries,” Prophet Bushiri explained. He said the church was, however, assured by paramedics that everything was under control, and that three seriously injured people had been taken to a private medical care facility. Prophet Bushiri said he was then advised by the church, acting on assurances from paramedics, to proceed with the service. However, during the service, it transpired that the three had died. “It was in the last hours of the service when I was on the pulpit, when the church was informed that the three that were heavily injured had passed on and confirmed dead at the clinic; I was briefed after the service,” he said. Prophet Bushiri said it should be noted that the church was not in any way involved in the transportation of the deceased. “The church only came to know through the media that there was a case of bodies being moved from the church without the police and taken to private mortuary,” he said. Prophet Bushiri said the church later learnt that a case of defeating the ends of justice had been opened against it. He went on to say that following those developments, the church conducted an internal investigation that led to a pastor being suspended. He said the church further cooperated with the police. He added that the church had taken it upon itself to repatriate the bodies and ensure that burials are carried out smoothly. “The church took all responsibility in liaising with three bereaved families, facilitating repatriation and leading the ceremony in other areas,” he said. Prophet Bushiri added that he had personally visited two of the families and was still to meet the remaining family. He said the church was working on a compensation package to assist the bereaved families. “The church has also commenced an insurance claim process against public liability insurance. The church has further undertaken a stance to top up insurance claims,” he said.